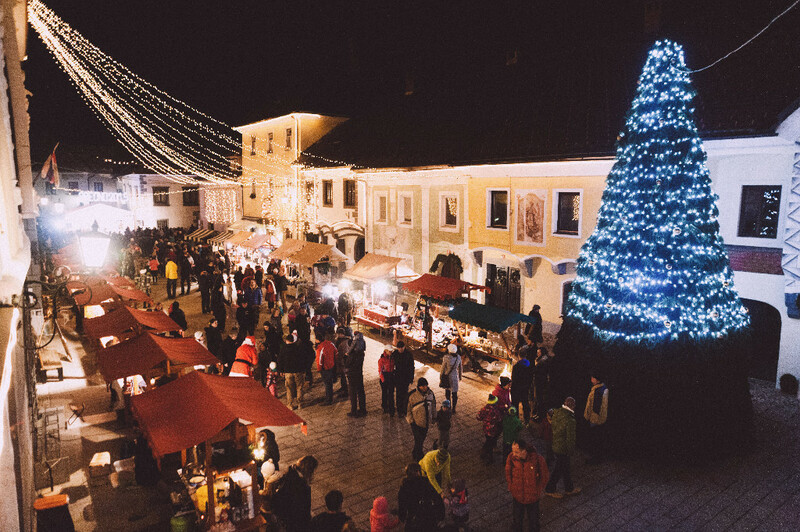 Let the Radovljica festive season begin! In Radovjlica the Christmas tree, decorations and lights are up in the old town centre, the cafes and bars are serving mulled wine, and we’ve even had a bit of snowfall to add to the festive feel – so let the festive season begin! The official switching on of the lights will take place on Friday 4th December at 4.45pm, so come and join the fun! It looks especially magic at night. There’s a full programme of events taking place throughout the festive season, with particular emphasis on entertainment for all the family. Here are some of the winners of this year’s Taste Radol’ca photo competition, which rewarded those who sent in their photos of their meals at one of the participating restaurants. Congratulations to the winners and see you at the party! Autumn came to an abrupt end on Saturday when, after an entire month with no rainfall, it instead SNOWED! This was accompanied by a marked drop in temperatures; in some places on Saturday morning the temperature was in the mid-high teens, by the afternoon it was just 1 degree; on average around 20cm of snow fell. Though I’m really not a fan of the white stuff, I have to admit that Radovljica did look quite pretty when I went out for a walk on Sunday morning. 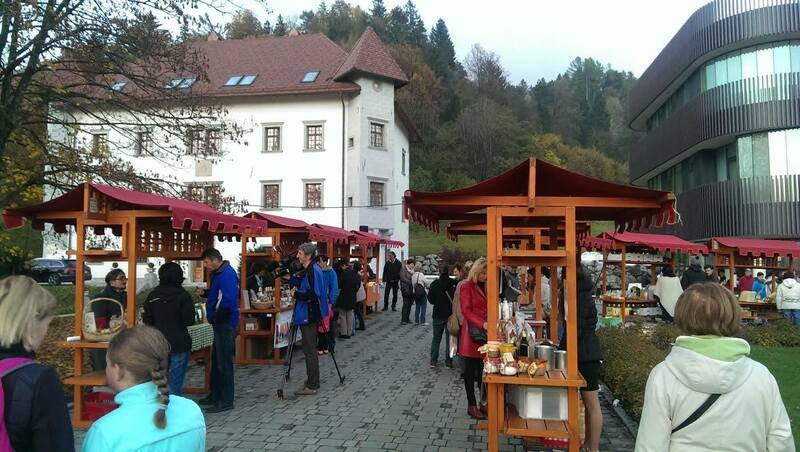 Mind you, to me, Radovljica looks lovely come rain or shine (or snow!). 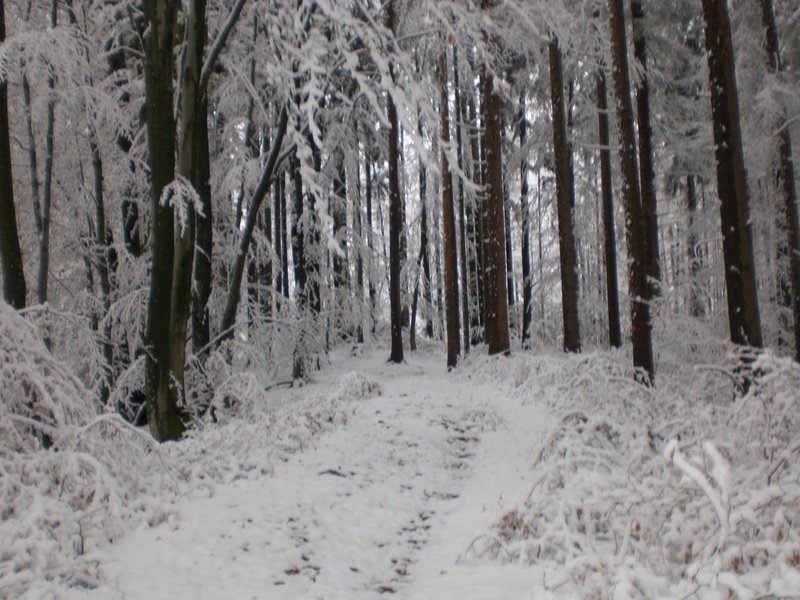 Walking through the virgin snow in the forest towards Talež early on Sunday morning. 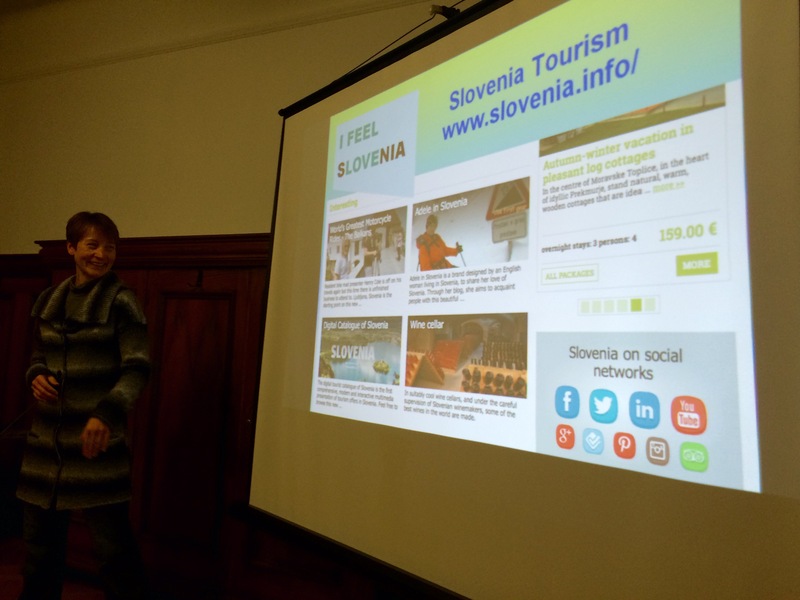 As is usually the case in Slovenia – other than in times of particularly heavy snowfall – the roads were cleared quickly and efficiently and there was no major disruption to my journey on Saturday from Radovljica to Ljubljana, where I had been invited to be one of two ‘guest speakers’ at Njam Zgodbe 2015 (Yummy Stories) – a foodie/blogging event. 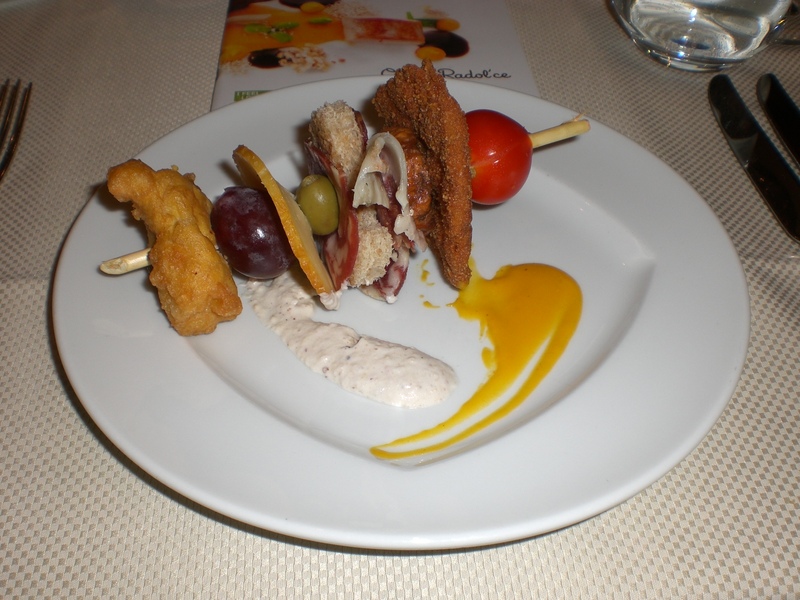 The event was a mixture of talks, workshops, networking, and, of course, yummy food. Though my blog is not a food blog per se, as regular readers will know, I do love food (especially chocolate!) and write about it often, and even more so in the winter when my outdoor activities are somewhat curtailed due to the weather. 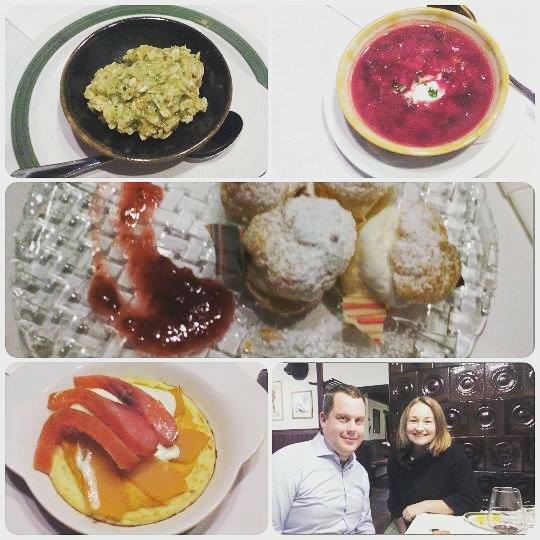 In the 8+ years I’ve been living in Slovenia, the food scene has come on leaps and bounds, not only due to the vast number of new restaurants offering cuisine from all over the world, but also due the ever-growing importance and recognition of locally sourced and produced ingredients and fresh, seasonal food; this is also reflected in the increasing number of food-related blogs. 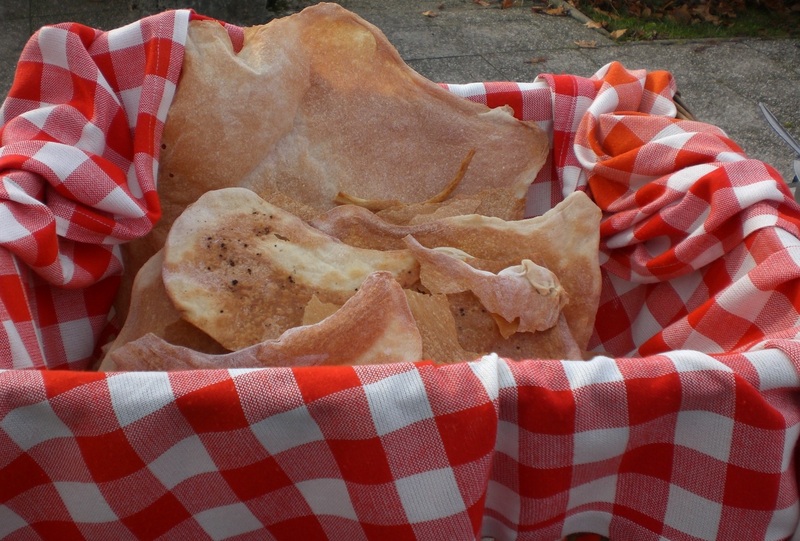 It was for this reason that I decided to dedicate part of my talk to Taste Radol’ca as, being from Radovljica, it is something close to my heart – not to mention my stomach! 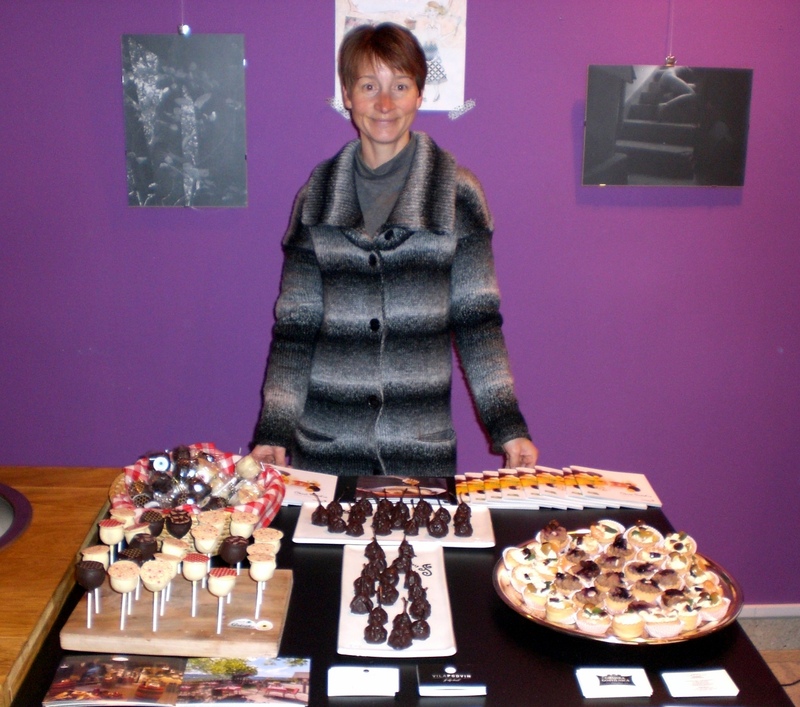 After my presentation the event attendees were able to try some of the goodies from Radol’ca’s restaurants; the famous cake-pops (grizike) from Kunstelj Inn, ‘tepke‘ pears in chocolate from Vila Podvin, and chestnut and pear tarts from Grajska Gostilnica. 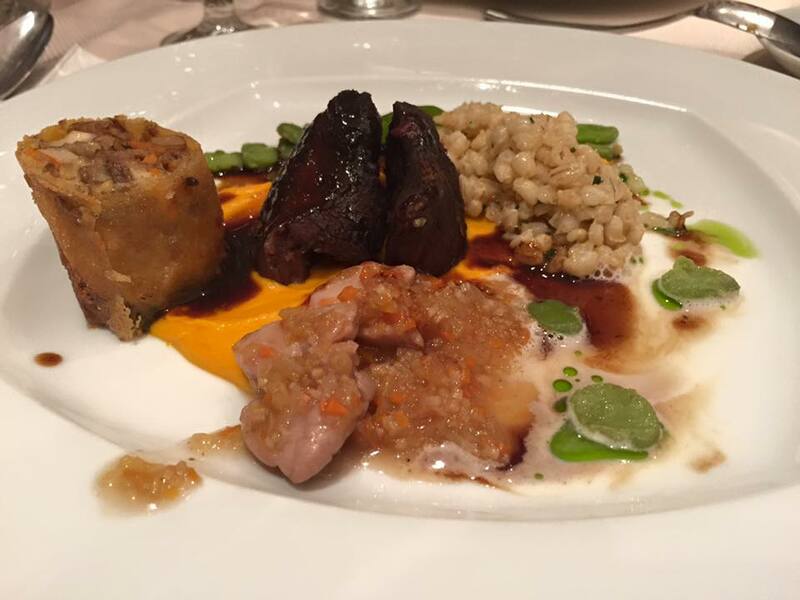 I think it’s fair to say that they went down well with the attendees, all of whom certainly know their food! 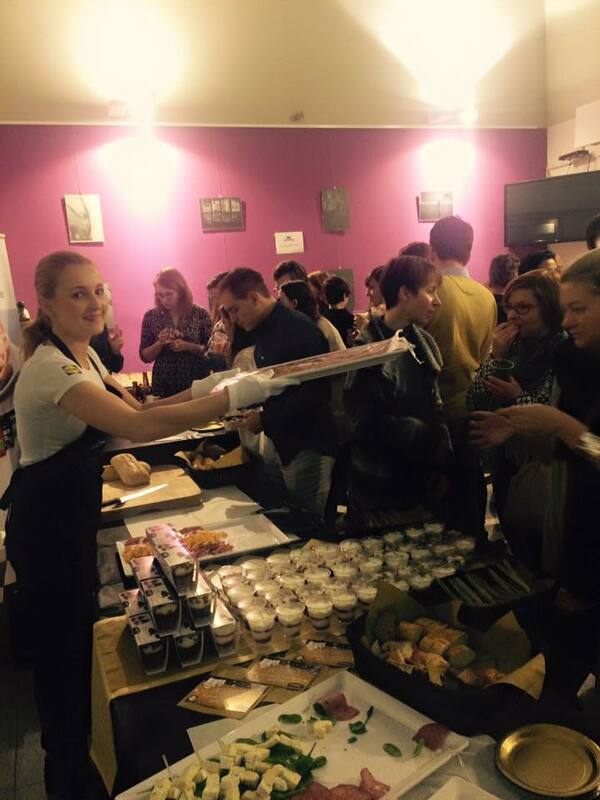 Kunstelj Cooks & Draga Delights! We’ve been spoilt with another week of warm autumn sunshine which was perfect for hiking and even a bit of cycling too. Unfortunately it looks set to end this week but it was certainly nice while it lasted! In addition to the month-long of special menus at participating Taste Radol’ca restaurants, this year there are also a number of accompanying events which are open to everyone and FREE to attend. These days there is ever more interest in where the food on our plates actually comes from. Knowing exactly where our food comes from is not only good for our health – food direct from the farm isn’t stuffed full of E numbers and the like – but it also helps support local farmers, producers and small businesses. 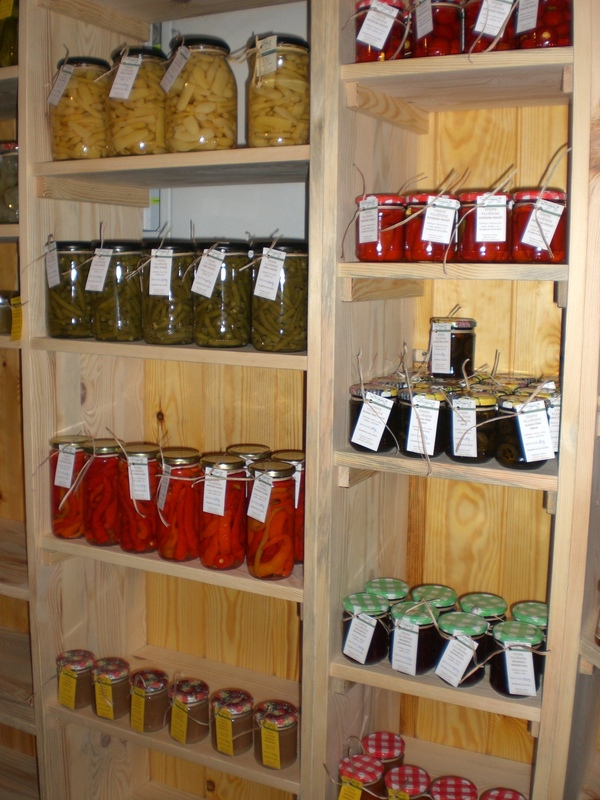 Since moving to Slovenia, and in particular since the launch of Taste Radol’ca, where the focus is on local food, I too have very much begun to embrace this style of buying and eating. 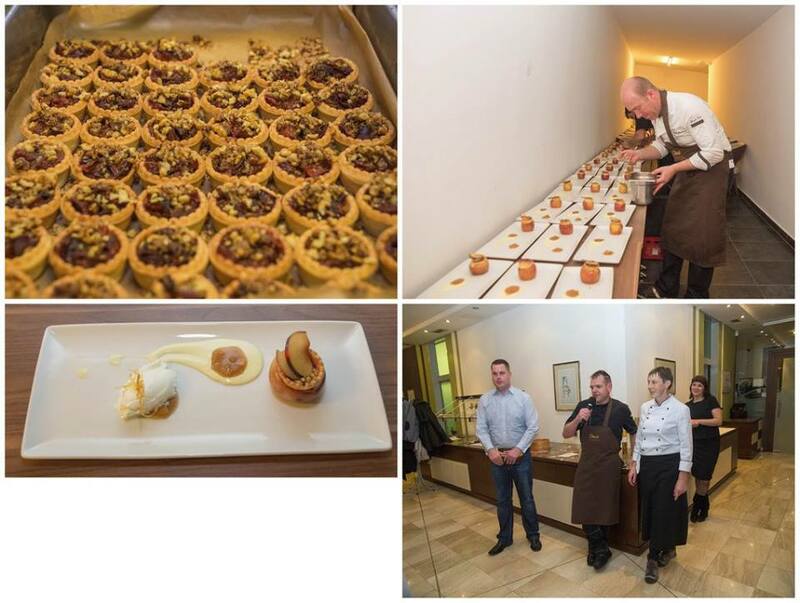 This week I visited two of the restaurants, this time not to indulge in the special menus – as delicious as they are – but to see the opening of a new mini-shop at Draga Inn and to participate in a culinary workshop at Kunstelj Inn. The Draga Valley, at the far end of the village of Begunje na Gorenjskem, is the starting place for a number of hiking paths in the Karavanke mountains. 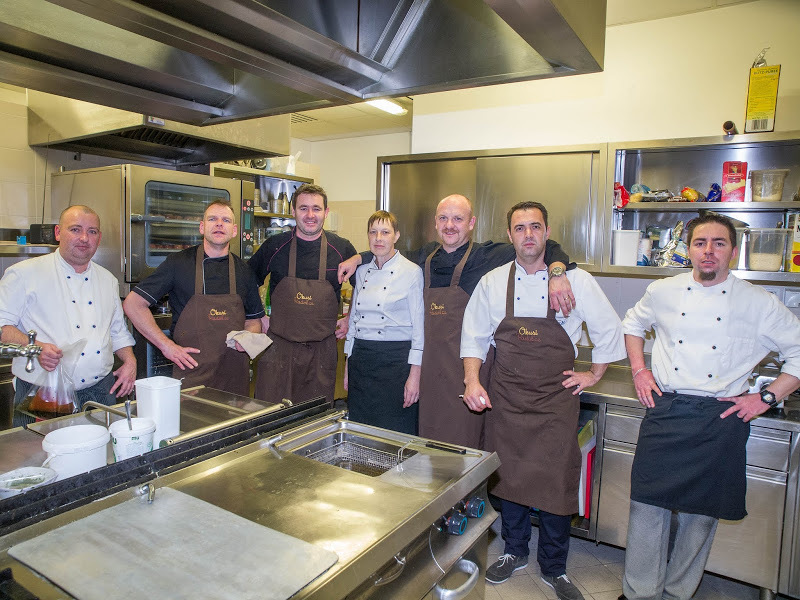 The valley is also home to the restaurant with rooms Draga Inn (Gostišče Draga). 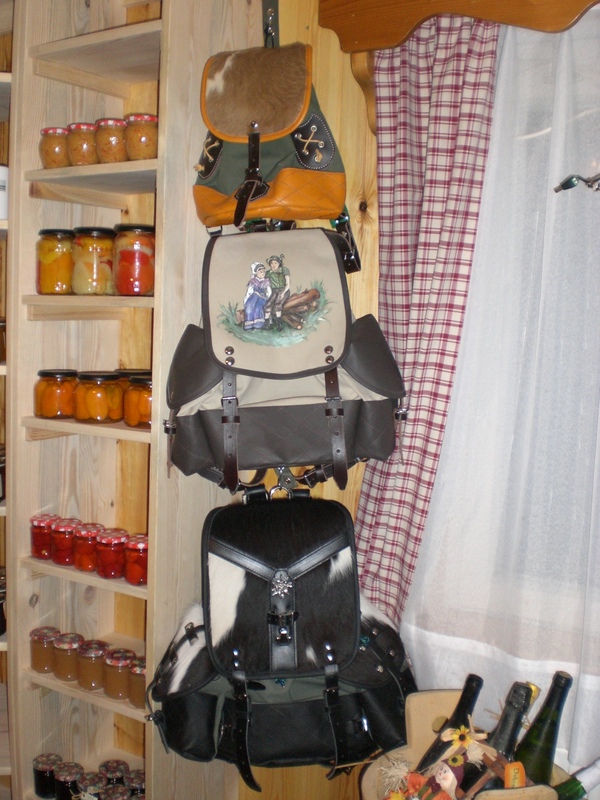 The inn has now expanded its offer by opening its own mini-shop stocked with products exclusively from the valley or the family farm; a range of pickled vegetables grown in the Inn’s garden, home-cooked jams, honey from the valley’s beekeeper and these rather attractive hand-painted and produced rucksacks, which are apparently ‘flying off the shelves’. 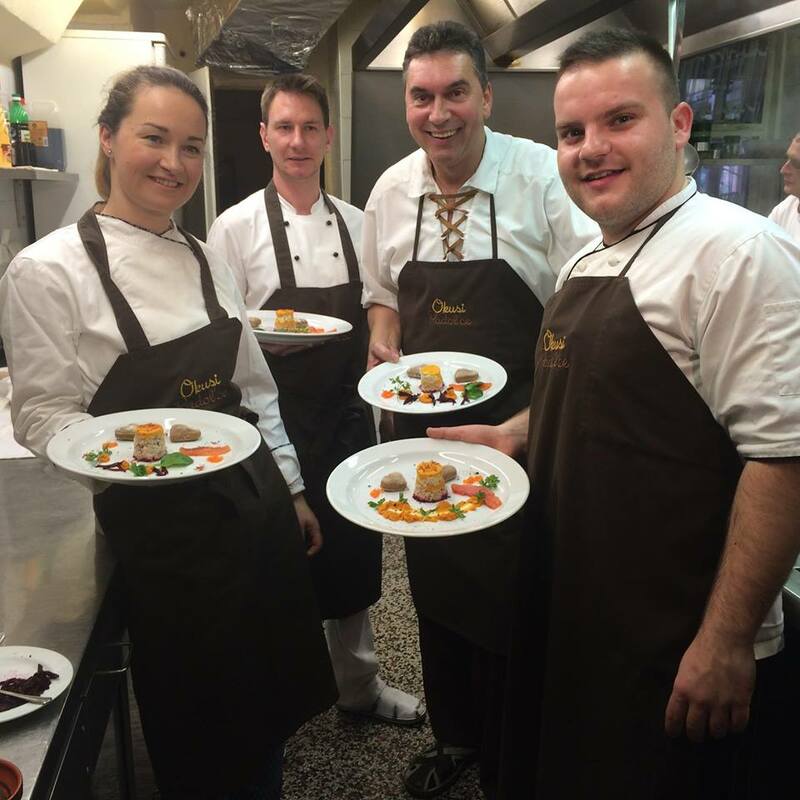 On Saturday the first Kunstelj Cooks (Kunstelj kuha) workshop took place at Kunstelj Inn in Radovljica. 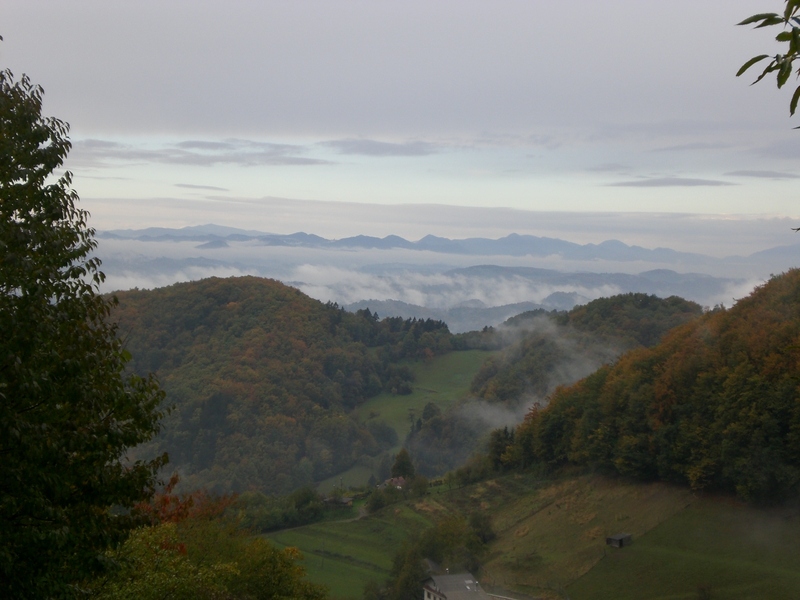 The fine autumn weather was a bonus and meant that the workshop could be held outside on the terrace, which just happens to be one of my favourite places in Radovljica, to sit and admire the views of the Julian Alps, the Jelovica plateau, and the lush Lipnica valley. 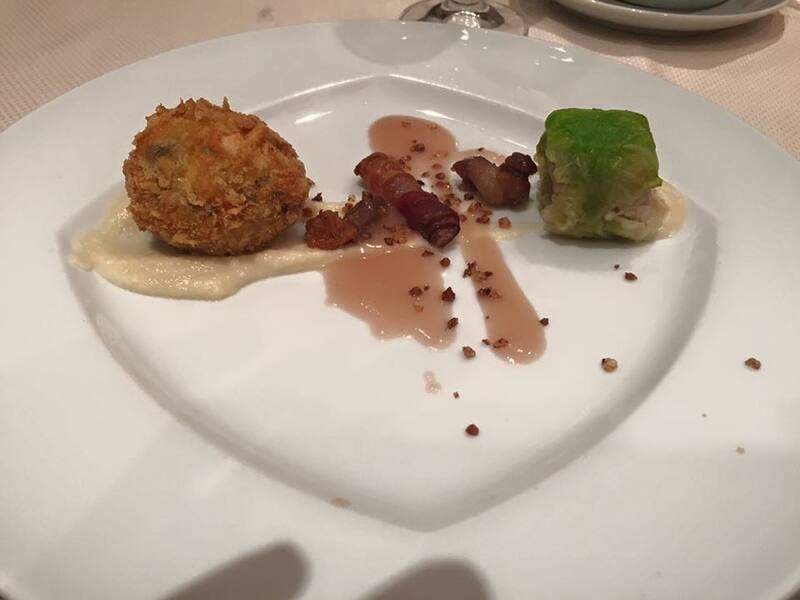 At this first workshop, to coincide with the celebrations for St. Martin’s Day, Kunstelj’s talented head chef, Maja Buden, used ingredients that are typical for St. Martin’s meals and showed how they could be used in a novel way. 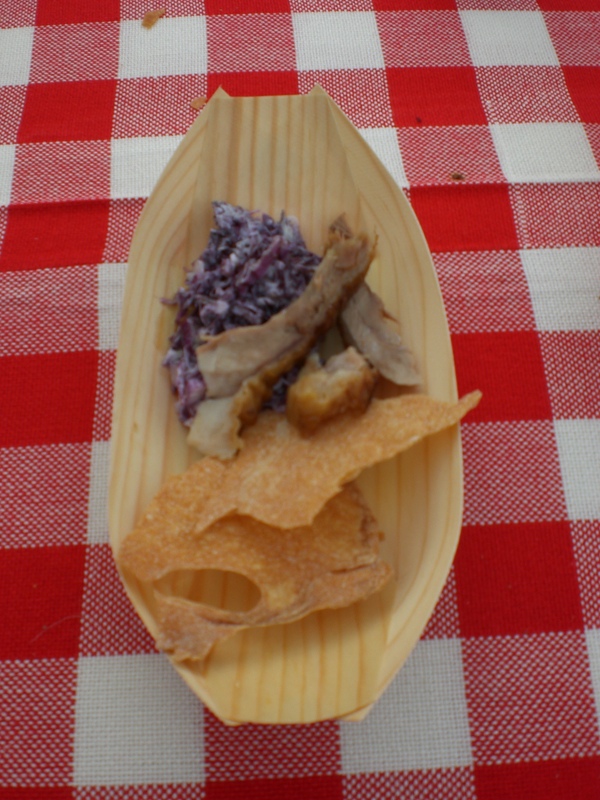 A traditional St. Martin’s Day meal in Slovenia comprises roast goose or duck, served with mlinci, as seen below (a kind of thin dried pastry that is prepared by boiling over liquid – water, stock or soup, over then ), and red cabbage. Maja used all these traditional ingredients to create these delicious bite-size St. Martin’s mouthfuls! 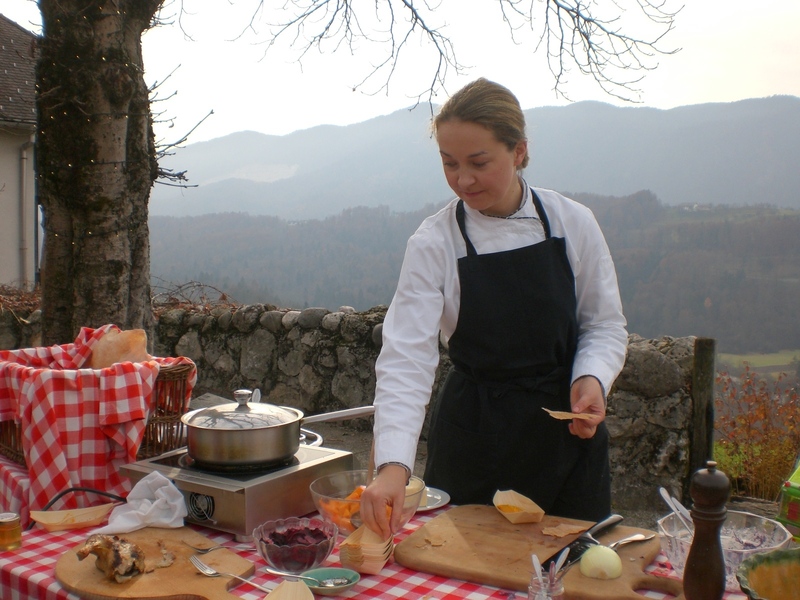 Next Saturday, 21st November, there will be another Kunstelj Cooks workshop. This time Maja promises she will be rustling up desserts. Do come, it’s tasty, interesting and FREE! Adventures on Kum – Slovenia’s Best Mountain Hut and Mountain Dessert! 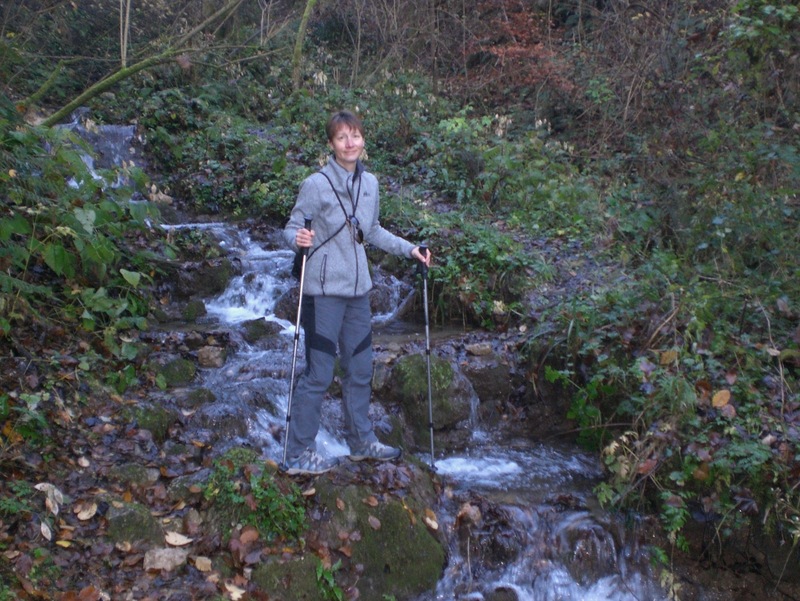 Hiking is very popular in Slovenia. 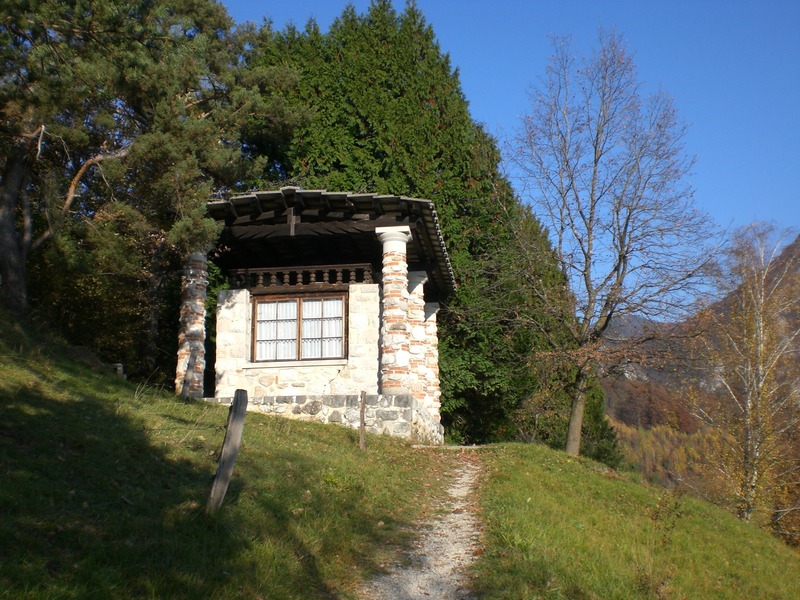 There are over 170 mountain huts spread across the hills and mountains of the Julian Alps, the Karavanke, the Kamnik-Savinja Alps, the Pohorje, Jelovica and Pokljuka plateaus and all the other areas. The huts range in facilities, in general the higher you go the more basic they become. Some, particularly the higher lying ones, are only open in the high season (July-September), others are open year-round though, out of season just at weekends, whilst a small handful, including this one, are open all year round, regardless of the season. Every year in Slovenia the public votes for their favourite mountain hut to win the title of ‘Best Mountain Hut’. This year the competition was won by the mountain hut on Kum (Koča na Kumu) and since I’d never been there, and since the warm autumn weather we’ve been experiencing of late has meant the hills and mountains beckoning for hiking, I visited Kum last weekend and, well – wow – now I know why! At 1220m Kum is the highest peak in the Posavje region. 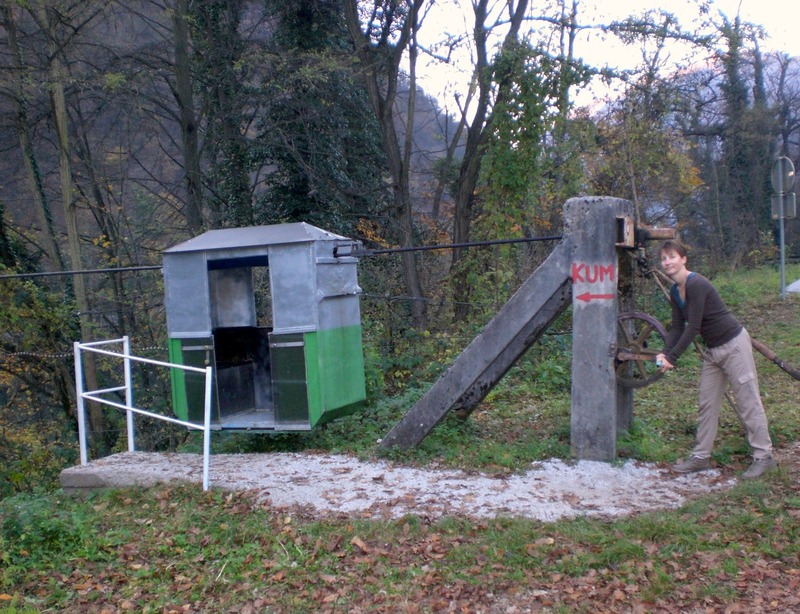 It can be reached from a number of places, including from Trbovlje, Radeče and Zagorje ob Savi. 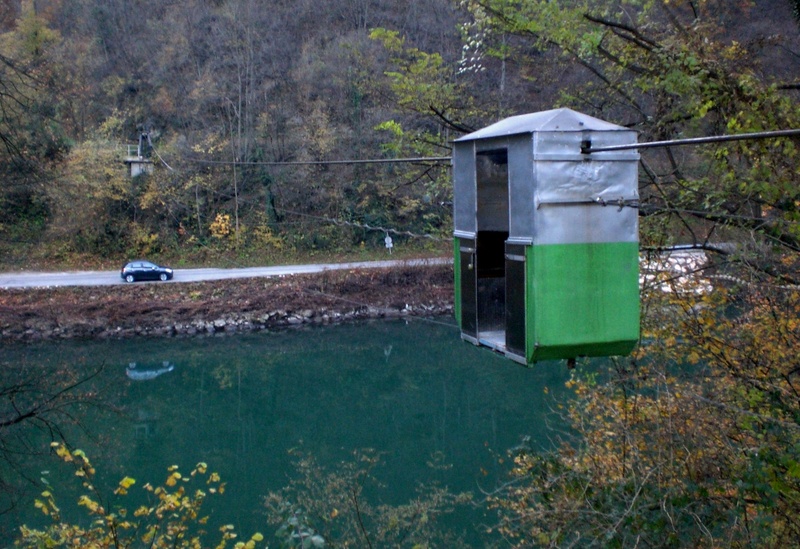 However, having read about the mini-cabin used to cross the Sava river at Zidani most, where one of the routes begins, I decided that sounded like an adventure with my name on it! This little cabin (for want of a better word) is also used by locals wishing to cross the river to avoid an otherwise lengthy detour. As I wanted to make an early start on Sunday morning, and also because I wanted to suss out the cabin in advance, I decided to stay the night before at my new favourite hotel, Rimske terme in Rimske Toplice. I say ‘favourite hotel’ because I visited once and liked it so much, and there was so much to see and do, that I returned a week later, hence there’ll be much more about that in a coming blog. Zidani most is one of Slovenia’s most important railway junctions, and is also known for its 3 bridges – two railway and one road – as well as being at the confluence of the Savinja and Sava rivers. Though surrounded by wonderful nature, to be honest, from what I saw of the place, there’s not really an awful lot else to see or do there, though I might be doing it a disservice since I only used it as a base for my walk. If arriving by train, on exiting the station turn left then walk along the road for about 1km to where the road crosses the railway. If arriving by car then you can park on the dirt road beside the Sava river. Then, its a quick hop into the cabin to wizz (ahem!) over the river to begin the hike. Well, at least that was the plan! If there is a group of you, it would be far easier as those on the opposite side of the river bank can help by winching the cabin if (and when!) it doesn’t quite make it over the river! So, just get in, take the obligatory photo, close the ‘door’ and let gravity do its thing! The cabin is just big enough for 2 people. If, however, you are alone, you might want to ask a friend to help (or flutter your eyelids at a friendly local – though you could have a bit of a wait, there aren’t many!) when you (inevitably) get stuck halfway across the river and don’t have the strength to pull yourself the rest of the way! The path leads up alongside a stream, steeply at first, crossing the stream in several places (I’d advise against taking this path after heavy rainfall as imagine it gets pretty slippery and treacherous). It emerges to meet a road then continues up along a sunny balcony, passes weekend houses from where the endless and rewarding views begin. The panoramic views are breath-taking and, despite not being that high, you really do feel on top of the world. On a clear day, you can see all of Slovenia’s mountain ranges and Slovenia’s highest mountain, Triglav, as well as peaks in neighbouring Croatia and Austria. On the top there is a large antenna, the mountain hut and St. Neža’s church. There is also a small play area for children, farm animals and an orientation table. 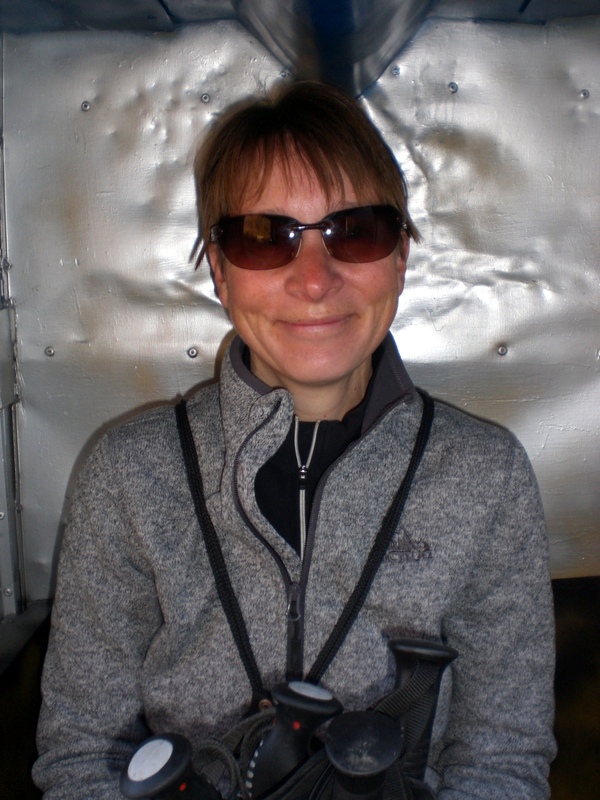 Inside the hut, where I was warmly greeted, the first thing that caught my eye was the chiller cabinet full of cakes! 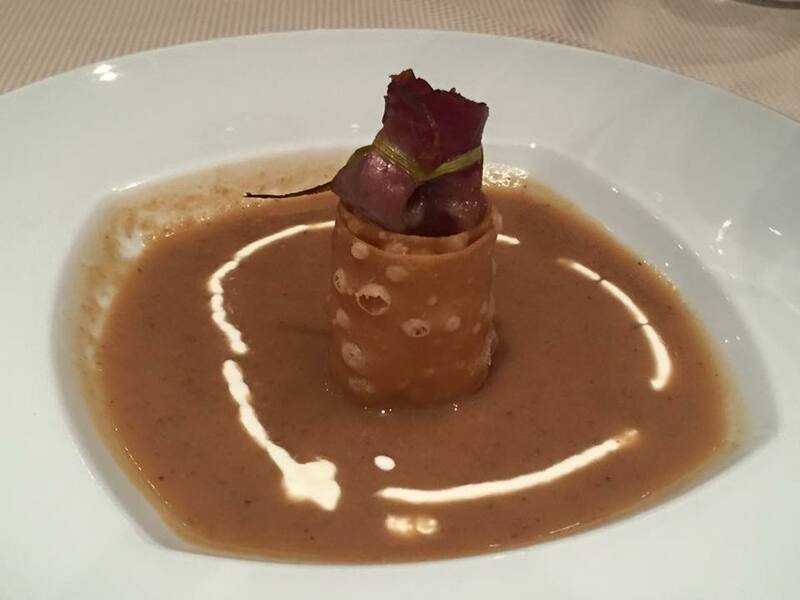 That in itself is a rare sight as most mountain huts have the usual fare of soups, stews and strudel. 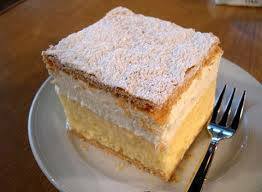 It’s not surprising then that the hut’s kremšnita (a cream slice, otherwise known as ‘Bled cake’) was declared the best mountain dessert of 2015. 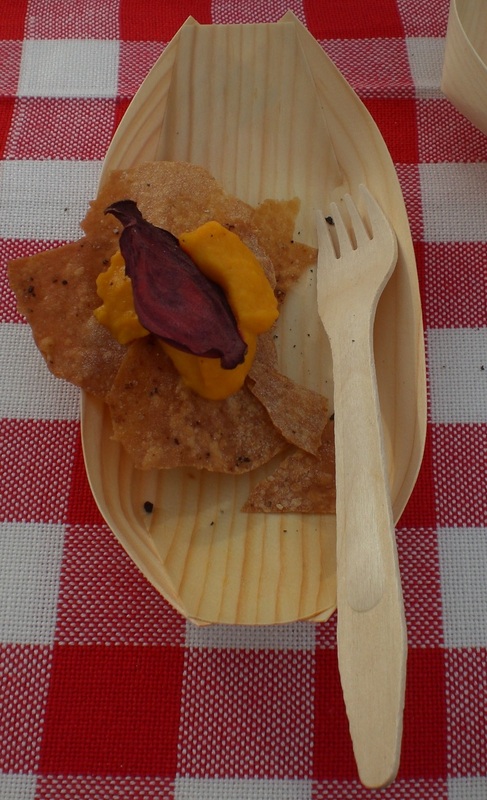 Of course there’s plenty of other tasty food on offer too. Kum is also popular destination during the winter and the hut is open all-year round, so, what are you waiting for?! The imposing Katzenstein Mansion, which stands in the heart of the village of Begunje na Gorenjskem, has had a long and interesting past. The mansion was built in the 14th century; renovations in the 16th, 17th and 18th centuries contributed to its current Renaissance and Baroque appearance. 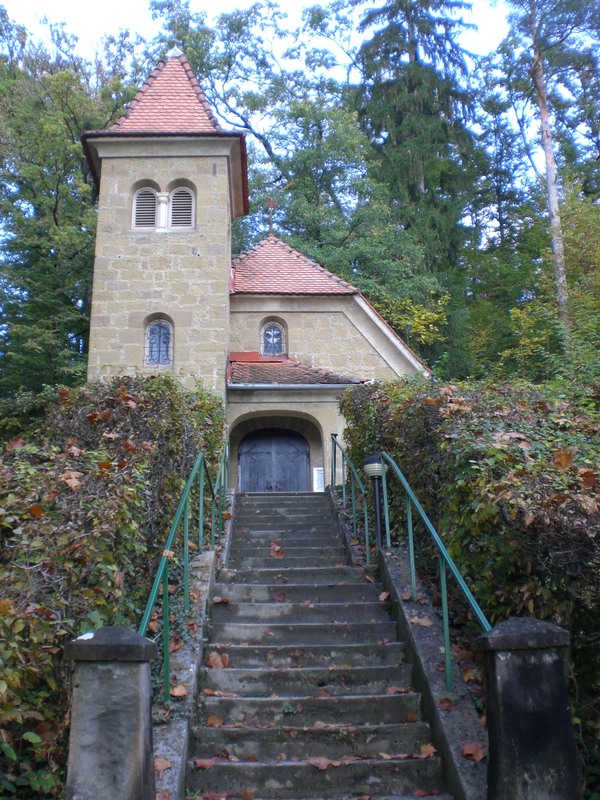 The park is particularly known for its pavilion and the Chapel of St. Joseph, designed by the most famous Slovenian architect, Jože Plečnik, and is also home to a small cemetery where 457 hostages and 18 World War II combatants are laid to rest. 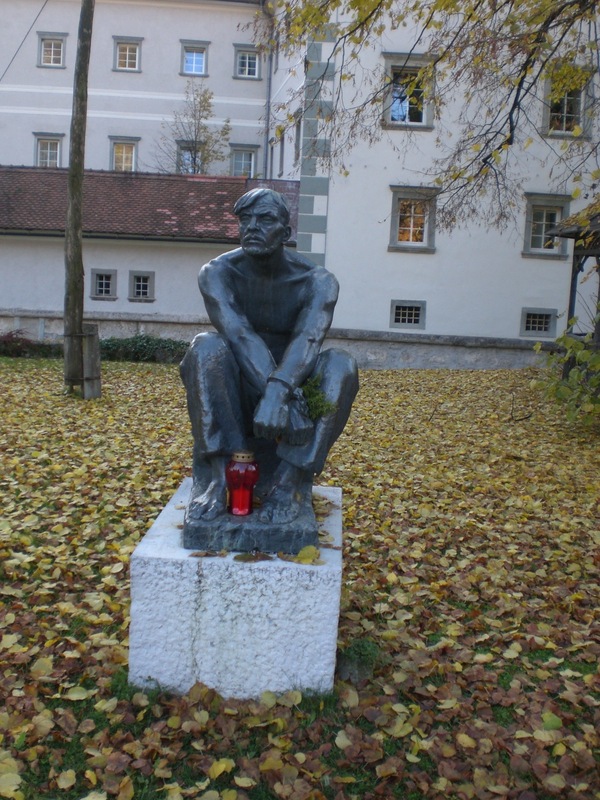 The bronze statues of a hostage and a prisoner, as well as the karst marble sculpture of a female hostage are the work of the sculptor, Boris Kalin. 1n 1875 Katzenstein Mansion was sold to Austro-Hungarian judicial authorities and a prison, holding 300 female prisoners, was established. 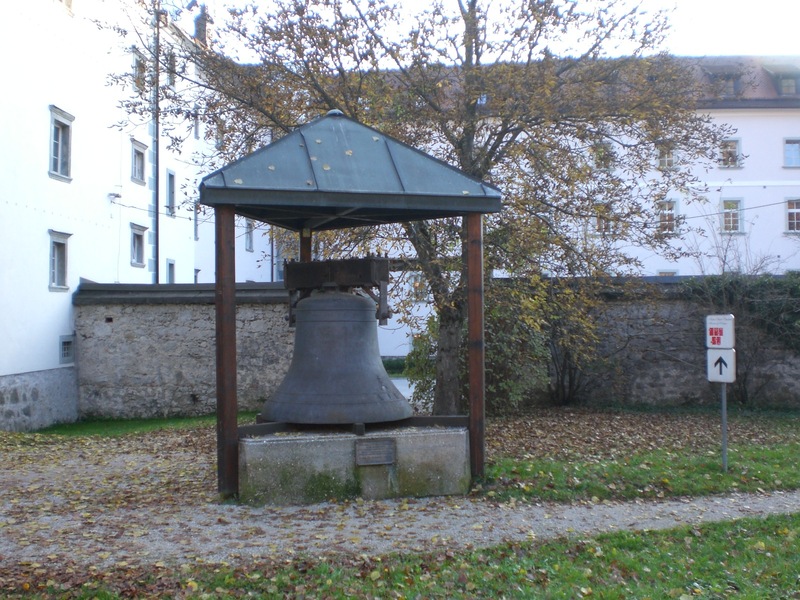 During the German occupation, it became a Gestapo prison and political prisoners were incarcerated in the mansion; after the war it again reprised its role as an all-female prison. Since 1953, the main part of the mansion has been operating as the Begunje Psychiatric Hospital, whilst since 1961 in the building at the north-western end of the residential wing – annexed in 1875 – the Museum of Hostages (Muzej Talcev) has been housed since 1961. 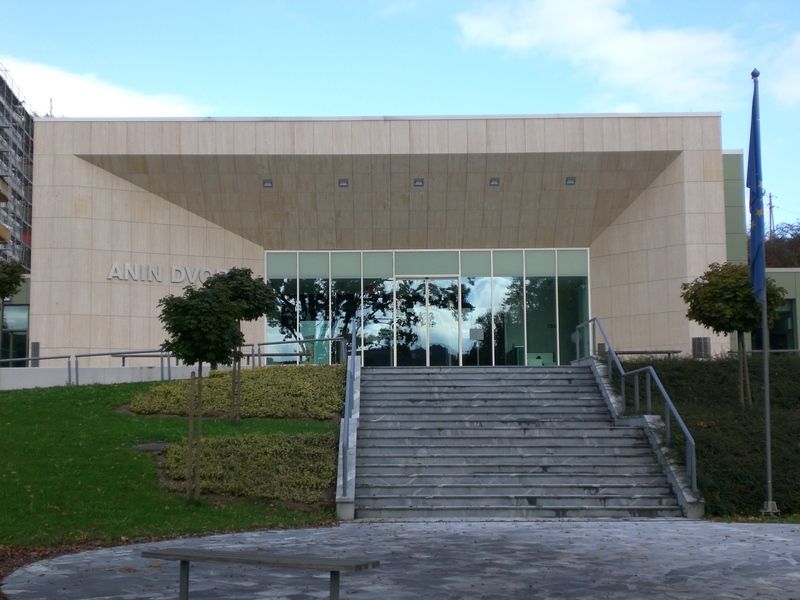 I must confess that until last week I hadn’t actually visited the museum, though had walked past it countless times. Somehow it seemed a bit depressing, however, following a recent chat with the director of Radovljica’s museums I realised that it was time to actually go and though the museum is only small its historic importance shouldn’t be overlooked. It doesn’t hurt for one to take a moment of quiet reflection to consider the suffering of the hostages held here. 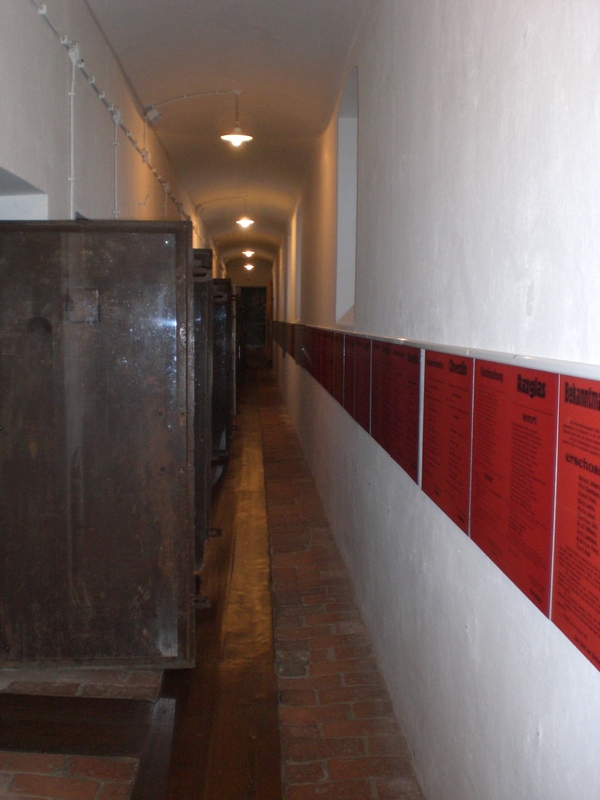 Inside, on the walls of the former prison cells, you can see written records left by the prisoners and announcements by the occupiers concerning executions. 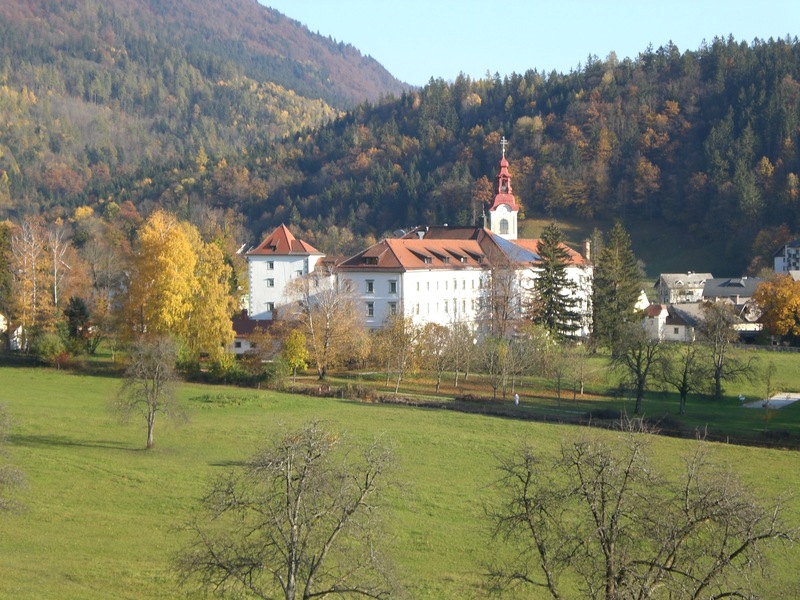 Recuperation, Rehabilitation, Relaxation, Recreation – all this and more at Rogaška! 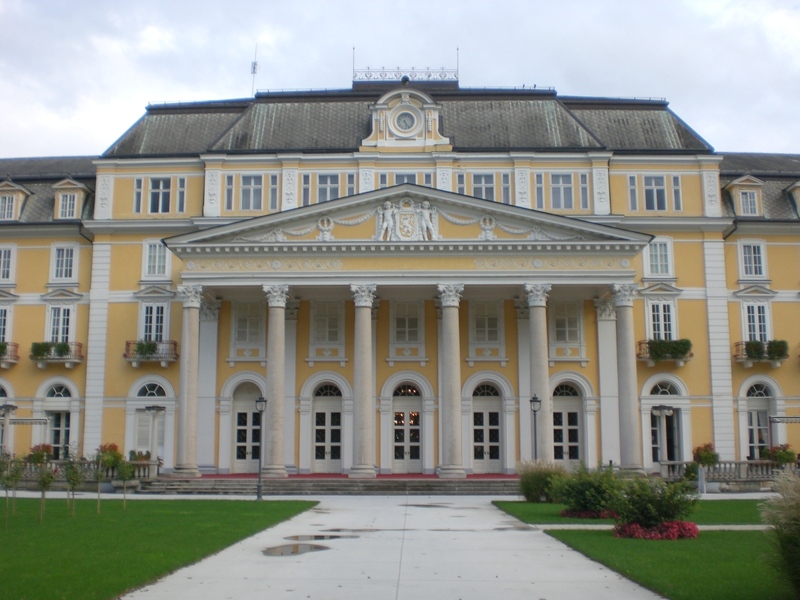 The Rogaška Health Spa and Park is probably the most known among Slovenia’s many spas. This unique resort has a 400-year tradition and attracts guests from all over the world who wish to benefit from its healing restorative, relaxation and medical programmes. During my visit I stayed at the beautiful, timeless, Grand Hotel Rogaška, which is just one of the luxury hotels set around the park. 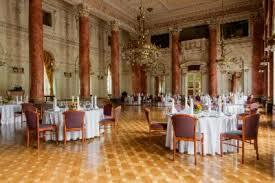 The Grand Hotel is particularly known for its Crystal Ballroom, where weddings, celebrations and other events are regularly held. The hotel’s Spa and Beauty Centre is housed in a former ‘health house’ from the 19th century, which nowadays offers a comprehensive range of professional cosmetic and medical procedures, as well as relaxation in the thermal pools and saunas. 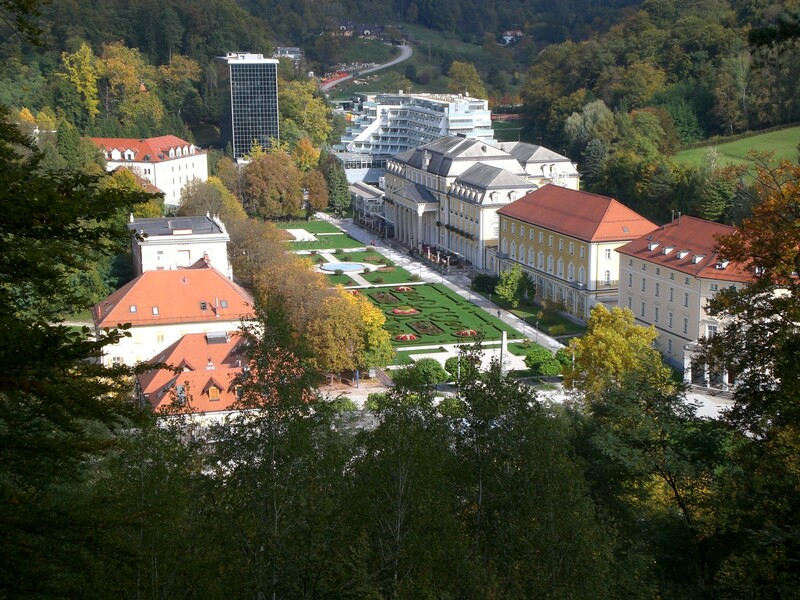 The town of Rogaška Slatina is dominated by the Rogaška Wellness Park, the surrounding hotels and the vast 12-storey Medical Centre which carries out all manner of health programmes including cardiology, gastroenterology, urology, and dermatology, as well as beauty and rejuvenation treatments. 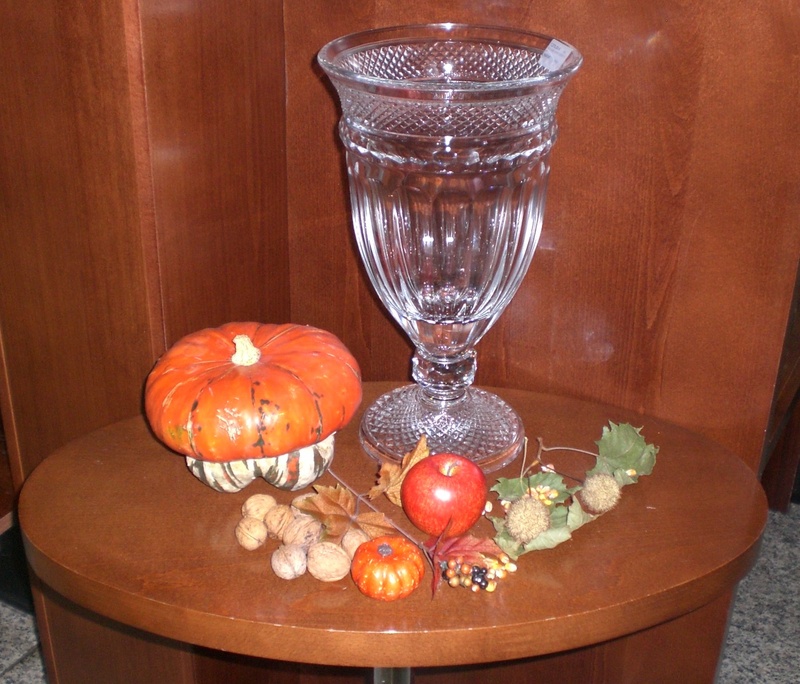 The basis of all medication treatments is the curative powers of Donat Mg water, which contains magnesium and, even in small amounts, can contribute to the healing of various ailments. 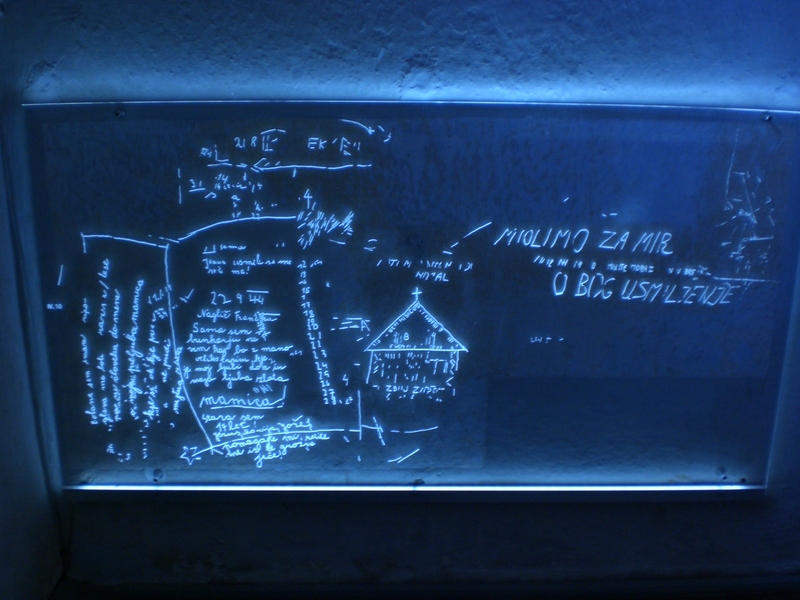 The miraculous power of Rogaška mineral water was first analysed by alchemists back in 1572 and is known to contain 1000mg of magnesium per litre. 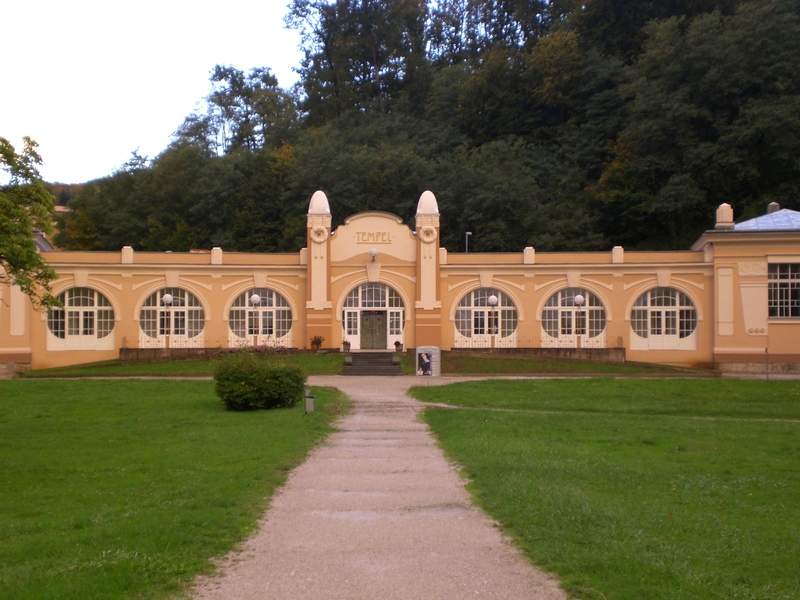 In its golden age, the Rogaška Health Spa hosted visits by members of imperial families (Habsburg, Bonaparte, Hohenzollern, Bourbon, Obrenović, Karađorđević and others), members of high nobility (Esterhazy, Turn und Taxis, Della Grazia, Furstenberg, Windischgraetz, Liechtenstein) and many other important guests, among them Bishop Strossmayer, the great English traveller Richard Burton and the writer Berta von Suttner. The positive effects of Donat Mg mineral water have been scientifically proven. It has been shown to act against stomach acid and stimulate the emptying and biliary secretion of juices of the pancreas. Minerals are absorbed in the small intestine; healthy kidneys eliminate any surplus of absorbed minerals. 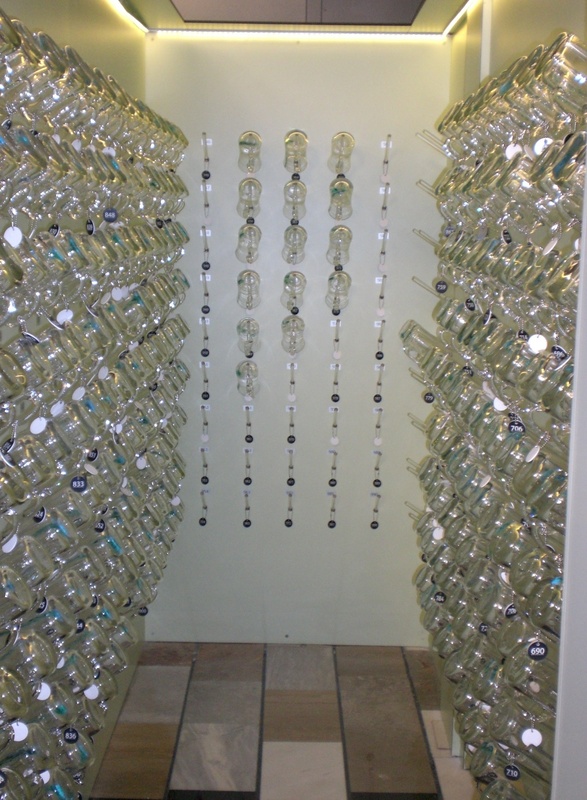 As seen below, each patient receiving treatment is allocated their own numbered glass and then must drink the required amount of Donat Mg, according to their personalised plan. 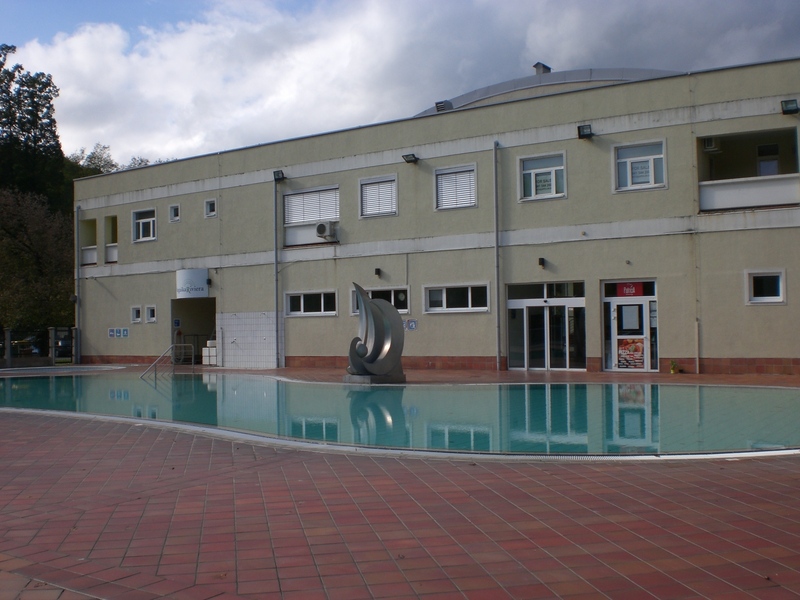 As well as the facilities in each hotel, the Rogaška Riviera thermal pools (unfortunately closed during my visit) are just a few minutes walk from the park. These pools can also be used by visitors who are not staying in the resort hotels and comprise indoor and outdoor pools and whirlpools where the special thermal-mineral water – containing sodium, potassium, calcium and magnesium – contributes to a feeling of relaxation and regeneration and is particularly benefits for diseases of the joints and soft tissue. But that’s not all! 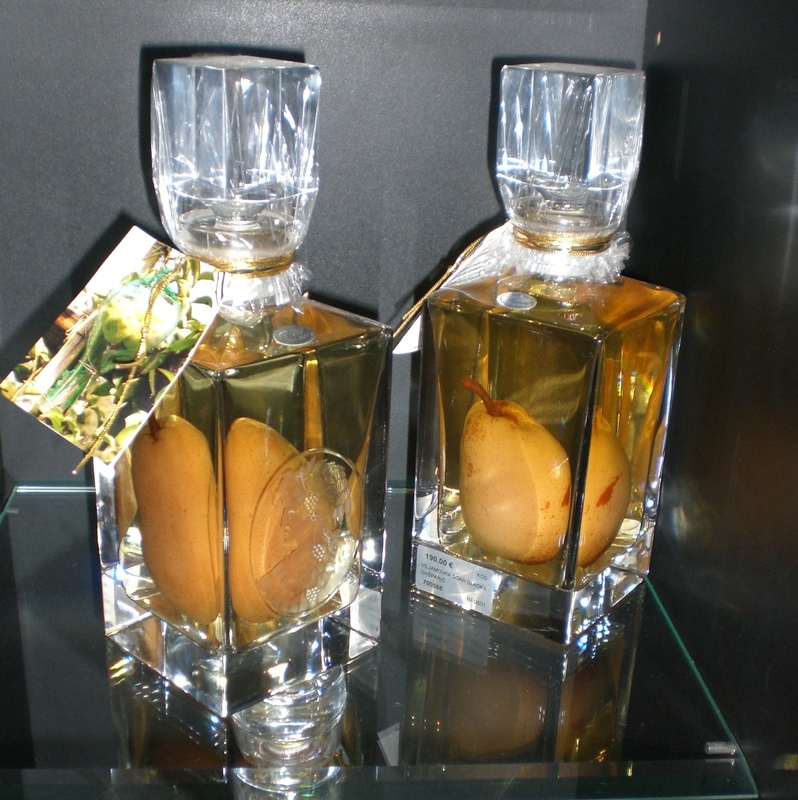 The town of Rogaška Slatina is also home to the Rogaška Glassworks, which has been producing its well-known and highly-regarded crystal products for over 350 years. Although I didn’t have time during my visit for a factory tour, I did pop in to the shop and couldn’t resist a purchase or two! 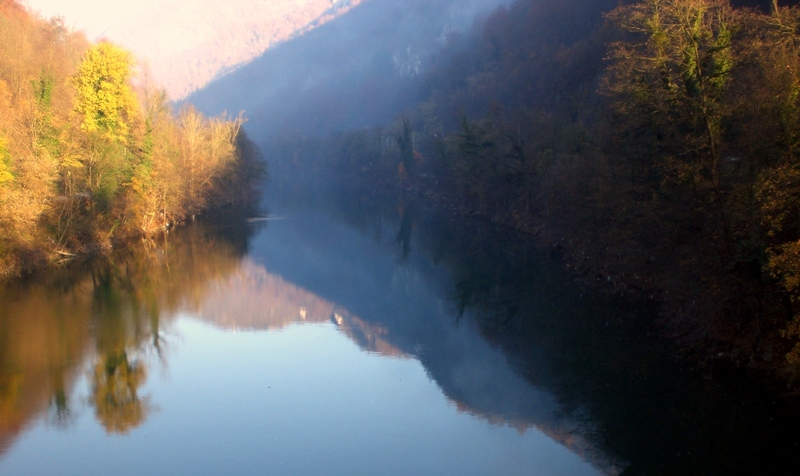 Rogaška is surrounded by beautiful nature. There are 9 marked walking trails, which begin directly from the centre and vary from less than 2kms up to almost 15km in length. There’s even a small ski slope, Janina, though at just 362m I can’t imagine an awful lot of skiing goes on there! A great way to see the town in all its glory is to get up above it, as I did by walking on trail number 6 to the hill Tržaski hrib – well worth it for the view. Just behind the medical centre is St. Anne’s Chapel, which I was rather taken by as its stone facade is somewhat unusual in Slovenia – more akin to an English style church. It was built in 1804 and in 1926 was renovated according to plans of Slovenia’s great architect, Jože Plečnik. Close by is Ana’s Mansion and Museum (Anin Dvor), a brand new building which is a cultural-tourist centre housing various collections and exhibitions. The Boč Nature Park is home to the peak of Boč (978m), the last peak in the Karavanke mountains. A viewing tower stands at the top, whilst the popular mountain hut on Boč (Dom na Boču) sits somewhat beneath the peak at 698m. Unfortunately the weather shattered my plans to hike up there, though I did walk a little of the way – via the road since it was raining – and at least managed to catch a brief lull in the rain for this rather dramatic looking shot below. Rogaška really does offer something for everyone; those in need of medical treatment, those wanting to improve their health; those wishing to escape from the stress of every day life; and even those – such as myself – who aren’t very good at relaxing but nevertheless want to enjoy some recreation (and a tad of relaxation!) in the wonderful green surroundings.